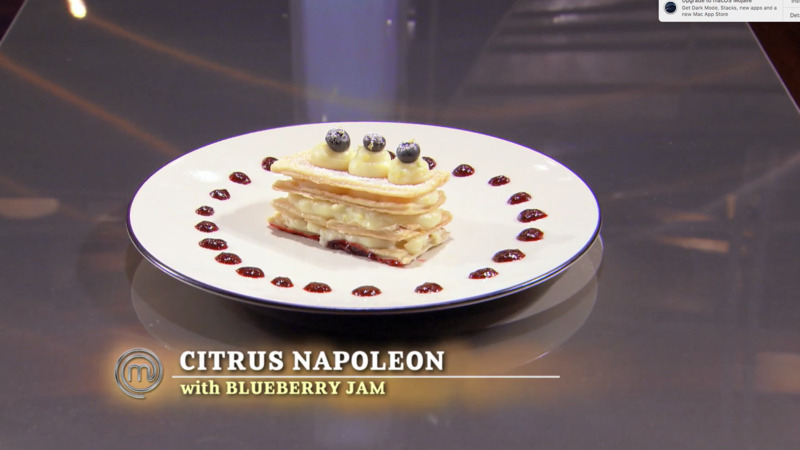 Ben Brown '21, Peck's very own MasterChef Junior, produced this video demonstration to illustrate how to make his Citrus Napoleon from this season 7 of FOX's reality cooking show. bowl and lightly whisk to combine. whisking until dry ingredients have softened and smoothed. Using a zester, zest the orange and the lemon into the mixture. Then squeeze the juice from half a lemon into the mixture. Mix well. seal and refrigerate until cool. place one blueberry on each dollop.